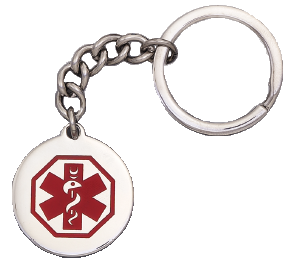 Stainless steel medical ID keychain with red enamel medical alert symbol. 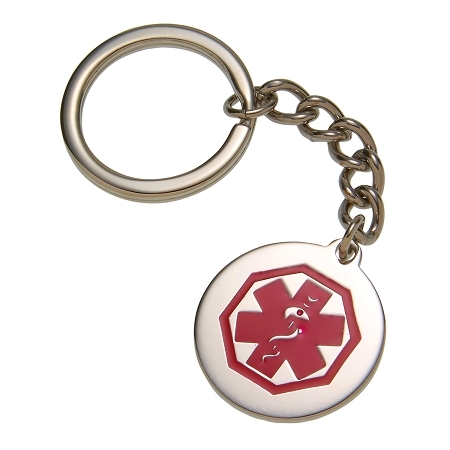 Circle charm with medical alert symbol is approximately 1 inch in diameter. Great site. 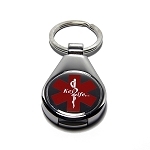 Every kind of alert jewelry imaginable. 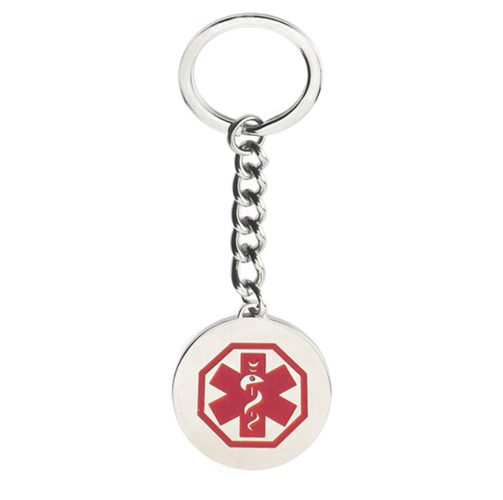 I love my new alert keychain. Durable and quite nice. This is the second item I’ve ordered and I plan to order more. I have this great, solid key-chain on my sports bag. It is an instant notification to team mates or medics should I need help whilst playing sport. Well made and fast shipping! Yes, another very neat and tidy little necessity that helps people to better understand my medical complications in the event of an emergency. Wonderful engraving and may prove to be durable craftsmanship, I'm certain. Amazing, however the engraving is done, these days. Arrived very timely to the other side of the world.